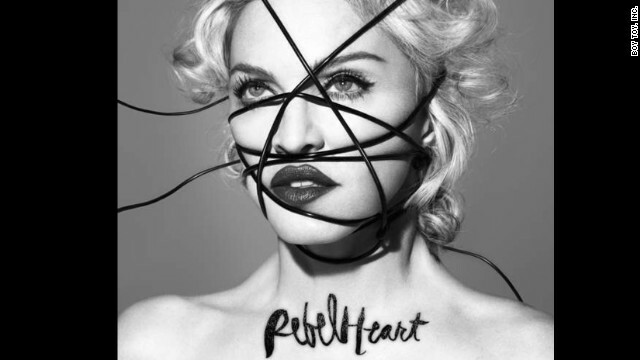 (CNN) -- Madonna wants you to start a revolution. The superstar spoke to CNN's Anderson Cooper on Thursday about her new project, Art for Freedom. With it, she is inviting fans to submit original video, music, poetry and photography to fight oppression, intolerance and complacency through art. Through Art for Freedom, she explains, "We have created this platform to give people around the world an opportunity to answer the question: 'What does freedom mean to you?' "
"I'm encouraging other people, whether they're professionals or not, to use their creativity to express themselves, to get a conversation going, to get the party started, really," Madonna told Cooper. In September, Madonna revealed what was then only known as #secretprojectrevolution in 10 cities, including Los Angeles and New York City. Those in attendance were treated to a "call to action" film the singer created with photographer Steven Klein, in partnership with VICE Media and BitTorrent. Cooper: It seems there is an optimism in what you're doing. 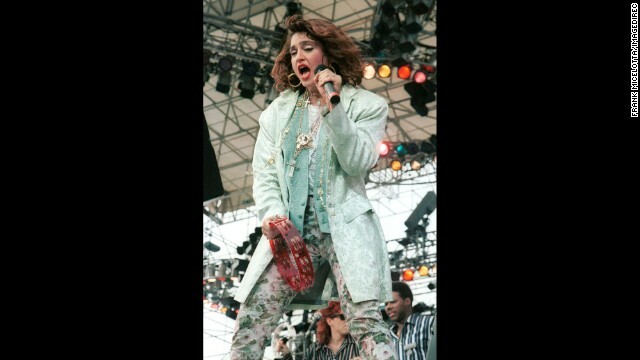 Madonna: Of course. I'm doing it because I believe in the ultimate good of humanity, but a lot of times push has to come to shove. I think you've noticed yourself over the years that, when do people really want to come to the rescue of others? When there's a catastrophe. When 9/11 happens, or when the floods happen in New Orleans, or when the bombs happened in Boston. What happens? People come together. Suddenly, people say, what can I do to help? What can I do to be of service? What I'm trying to say is, why do we have to be pushed to the worst-case scenarios to bring out the best in ourselves to be the best version of ourselves that we can be? Cooper: I went to the opening of "secretprojectrevolution" in New York and you incorporated some words from James Baldwin. I'm not quoting directly, but he said, only the artist can truly see and describe the human condition. I don't think that's something a lot of people really think about, but that's something clearly you believe in very strongly -- that art can actually make a change in people's lives. 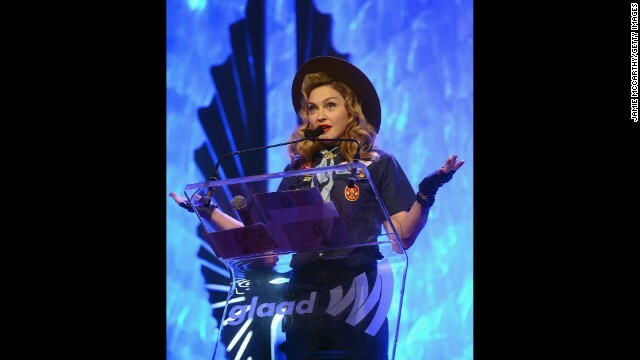 Madonna: I believe that. And I think that it used to make a much bigger change in people's lives in the days when people were not censored. In the days when branding wasn't in charge. Now, in order for people to get their stuff out there, they have to be associated with a brand and once you start associating with a brand, unfortunately, the brand starts to censor you. And then suddenly it's not your pure vision anymore. Imagine if someone like John Lennon or Bob Marley, Sid Vicious, Picasso, whomever, were doing their work and some corporation, some CEO, some branding entity was saying to you, well you can do that, but you've got to remove this aspect of your work. There would no longer be that purity anymore. We wouldn't have their gift. We wouldn't learn from what they had to share with us. I'm all for noncensorship and freedom of expression. Enjoy Madonna's Instagram video on her interview with Anderson Cooper as she gets a little housework done.